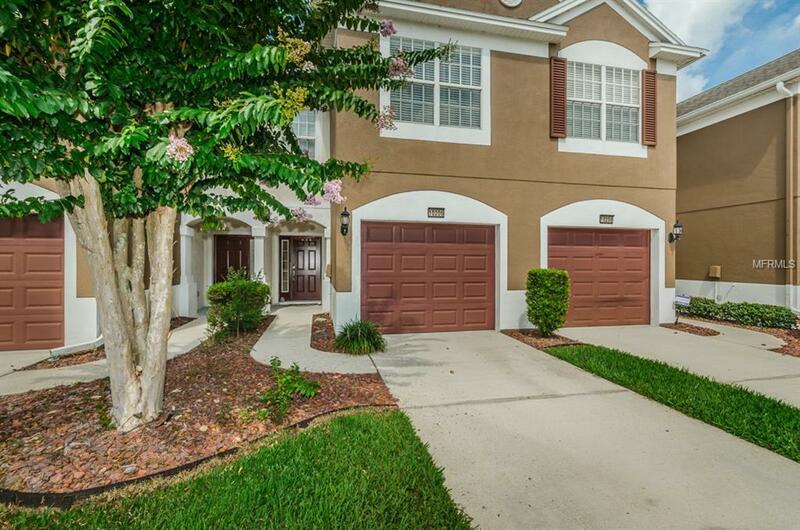 Beautiful 3, 2 1/2 bath townhome in the highly sought after community of Westpark Preserve... this well-maintained, GATED community is a pleasure to come home to! The downstairs features a wonderful open floor plan with the kitchen overlooking the living room and a beautiful screened lanai which looks on to the courtyard area. Upstairs are 3 nice sized bedrooms with vaulted ceilings and plenty of light! The Large master suite has walk in closet and private bath with double vanities and garden tub. Brand NEW AC system (8/2018). This beautiful community features a gorgeous pool, and its almost maintenance free living includes your water/sewer, basic cable as well as the roof shingles and most exterior maintenance. Ideally situated adjacent to the veterans Expressway and convenient to the Tampa International Airport, area beaches and incredible amount of shopping in nearby and restaurants in nearby Westchase plus just minutes away from the Citrus Park mall!